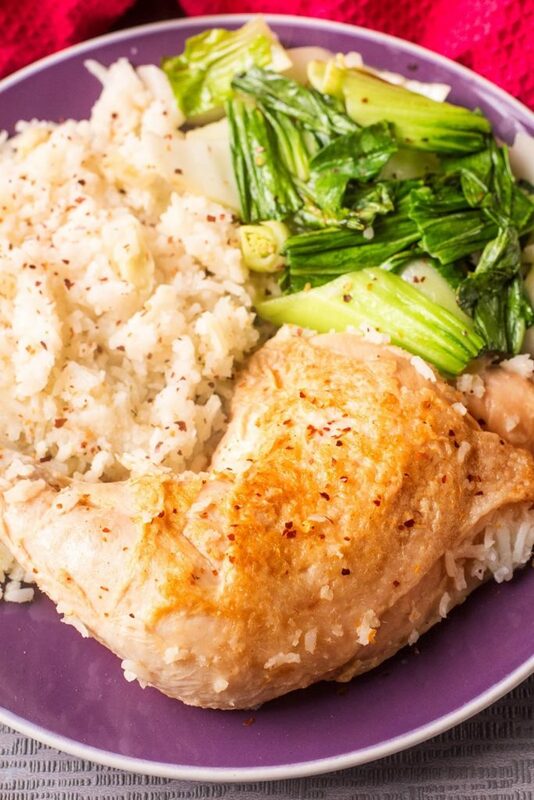 Chicken and rice is a classic staple worldwide. It might seem simple, but simple allows the flavours to shine through and it doesn’t get much easier as this is all done in the Crock-Pot. 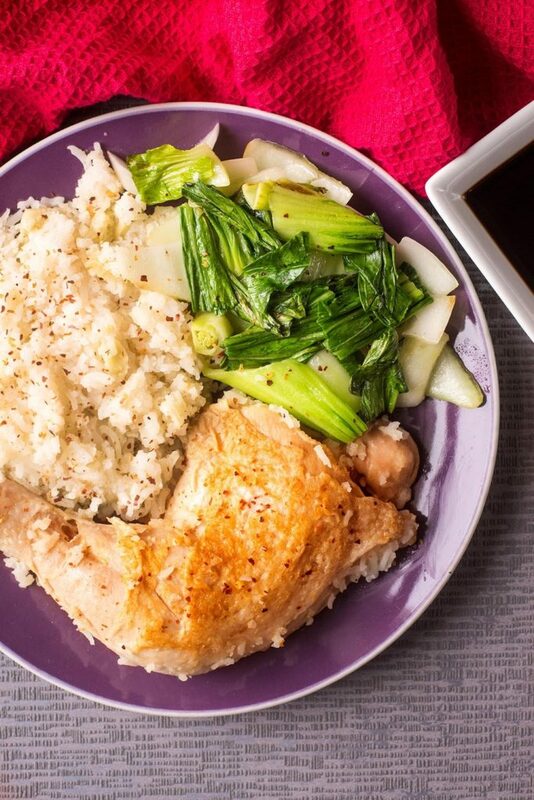 This Chicken Congee with XO dish is something a little different, but not overly complicated. Not heard of congee before? Me either! It is a type of rice porridge that is popular in Asia and it’s basically when rice becomes a mushy consistency from prolonged cooking. Well, that’s what happens when you cook rice in the slow cooker and it makes a great addition to chicken. Not heard of XO either? Neither had we, but it is now going to be a staple in our cupboard, as as little bit of this spicy seafood sauce goes a long way and it great topping for chicken and rice. 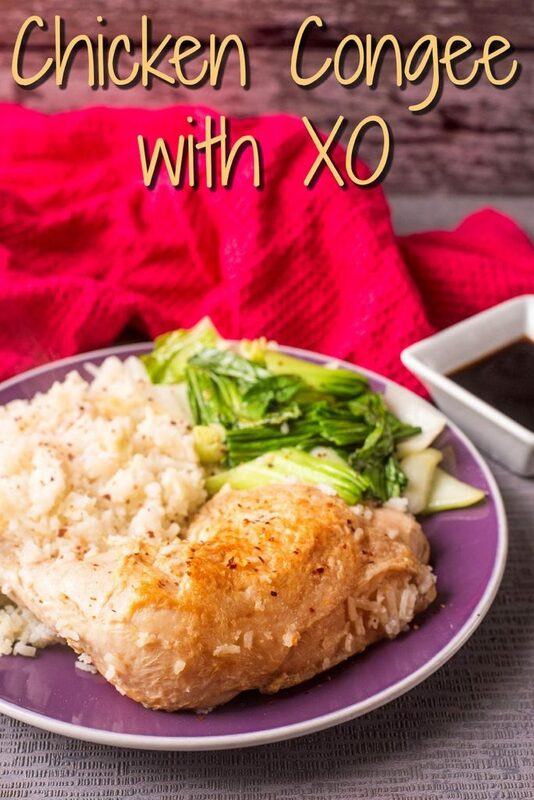 Do you want to be kept up to date on more delicious and healthy recipes like this Chicken Congee with XO? Please subscribe to the blog mailing list (it takes 30 seconds). You will get sent the new recipes straight to your inbox. Your email address won’t be passed on to anyone and you will never be spammed. We try not to use too many speciality ingredients in our recipes, as we want them to be accessible to everyone without having to go to a special shop. But sometimes a little extra effort is worth it, and it was definitely worth the effort of going to a Chinese supermarket to get the XO sauce. I love a trip to the Chinese supermarket, and we try to go once a month to stock up on sauces (especially sriracha), bulk noodles and frozen dim sum. Chinese supermarkets can be really cheap too, especially when buying in bulk, but go to buy some XO sauce for this recipe and spend some time in there discovering some new products too. We can’t take credit for this recipe – after all, we hadn’t heard of the word Congee and we had never tried XO sauce before. But it sure is going to be made often in our house, as you can never have too many ways to liven up chicken and rice, right? This recipe was created by Great British Menu chef, Neil Rankin as he has teamed up with Crock-Pot to show that slow cooking is so much more than just stews and casseroles. We shared his Aubergine Masala earlier in the month, and now this is a slow cooked recipe for the meat eaters. We love our Crock-Pot, as everything can just be thrown in with very little prep time and then left to cook away. No need to spend time standing over the hob cooking, and we can spend that time saved on things like going for long walks as a family, or trying to actually finish unpacking our new house. 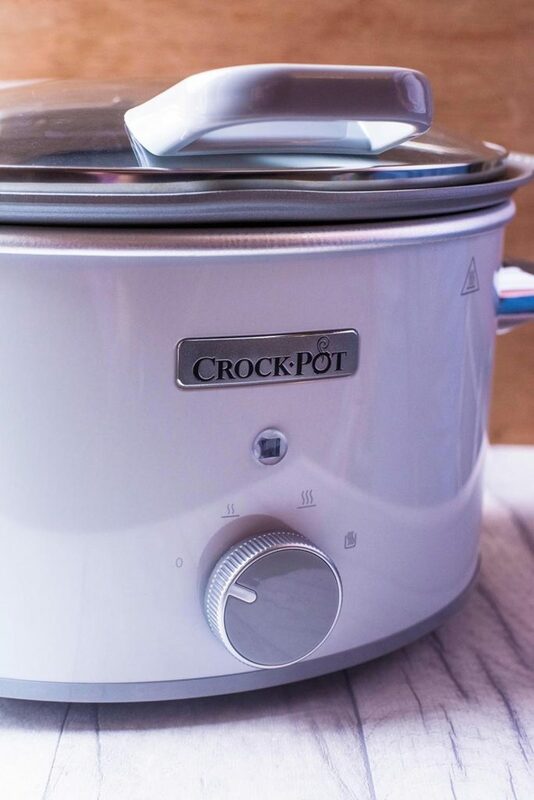 So when Crock-Pot challenged us to take part in Crocktober (oh how we love a pun) and slow down by swapping one regular meal a week for the month of October with a slow cooked meal using a Crock-Pot, we jumped at the chance. We actually managed to unpack a few boxes this month! Crock-Pot is the original slow cooker. Launched in North America in 1971, Crock-Pot has been trusted with meal times ever since. For over 40 years Crock-Pot has led the way in electrical one-pot cooking as more and more people across the world embrace slow cooking as the convenient way to create hearty, flavoursome family meals. It’s one pot, but with endless possibilities. We used the Crock-Pot 4.5L DuraCeramic Sauté Slow Cooker and it represents a step-change for the industry, introducing a multi-purpose aluminium pot that can be used on all hob types, and finished with a revolutionary DuraCeramic coating that is free of PFOA and PTFE non-stick chemicals, giving it four times the durability of standard products. Being able to use it on the hob first is amazing, as it really is all done in one pan. The Crock-Pot really is a must for busy families – Make it Fast, Cook it Slow. We have really enjoyed taking part in Crocktober, but we won’t be packing it away at midnight when November rolls in (HOW IS IT NOVEMBER??). We will be using it more than ever, as it’s great for comfort food and it saves us so much time. Win-win. 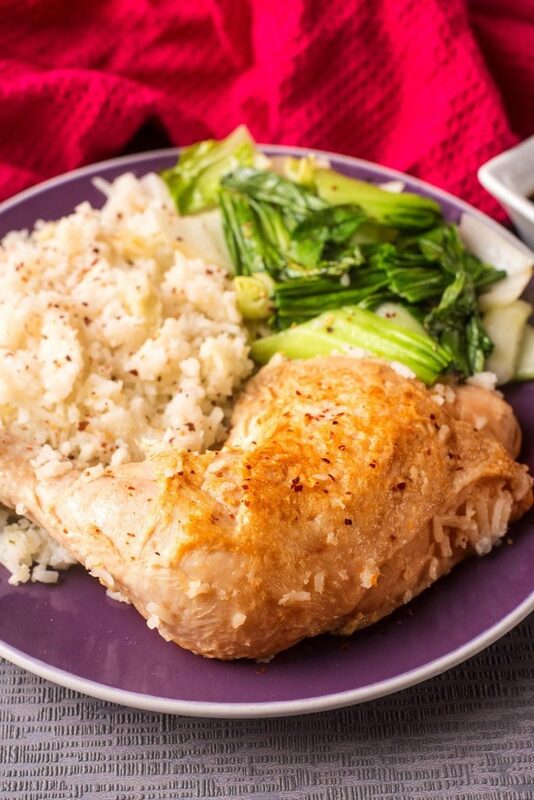 Although this recipe is just for the chicken and rice, we added a side of pak choi to ours, as you can never have too many greens in your diet, and it’s the perfect addition to this dish. We just sautéed in a little oil for a couple of minutes and then sprinkled it with some chilli flakes. 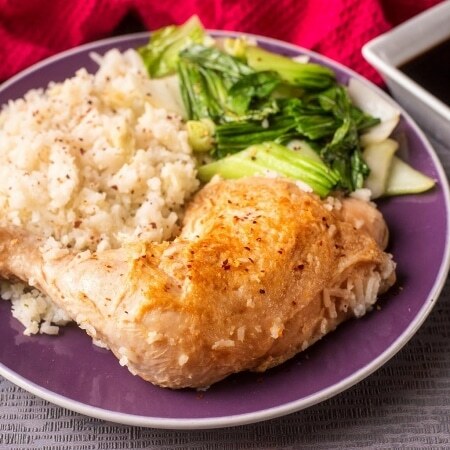 We would usually cook with chicken breast, as it’s leaner, but there is so much more flavour in the leg and it makes a really nice change every now and then. Not only does this make great leftovers the next day, but it freezes well too, so we have a couple of portions in our freezer ready for a quick week-night meal. 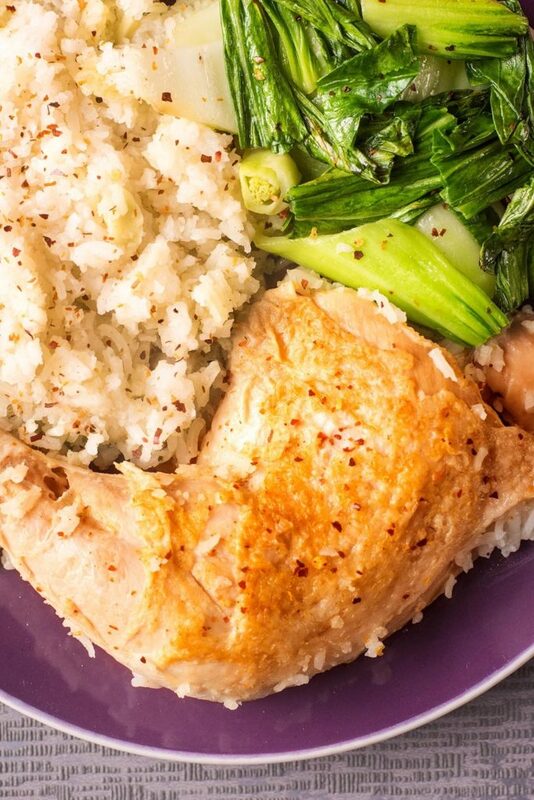 Chicken and rice is a classic staple worldwide. 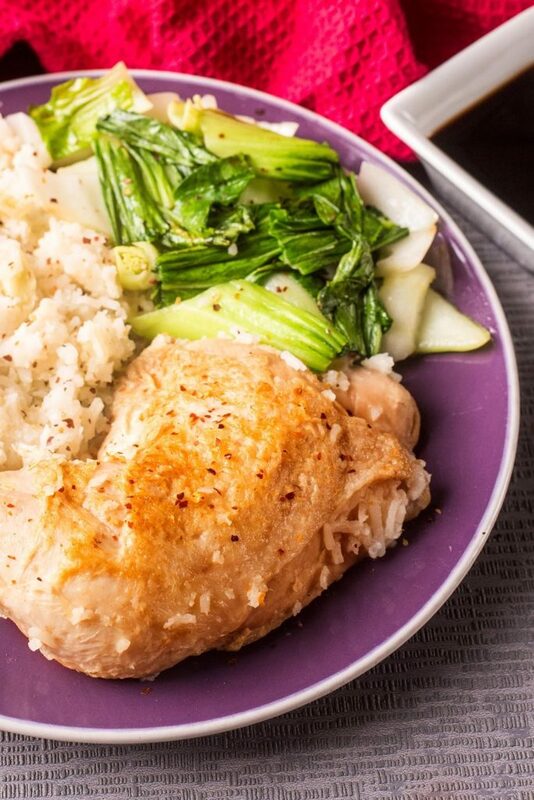 This Chicken Congee with XO is something a little different, but not overly complicated. Set your Crock-Pot to high (recommended) for 2-3 hours cooking or low (for 4-6 hours). Brown the chicken using the inner aluminium pot of the Crock-Pot on the hob until it has some colour to it. Transfer the inner pot to the Crock-Pot. Cover the chicken with the stock and water. Add the rest of the ingredients, minus the XO, ginger, salt and soy sauce. Cook until the rice has broken down and it takes on a porridge consistency. When done, stir in the broken down garlic (which should be soft). Season slightly with salt and add the ginger. 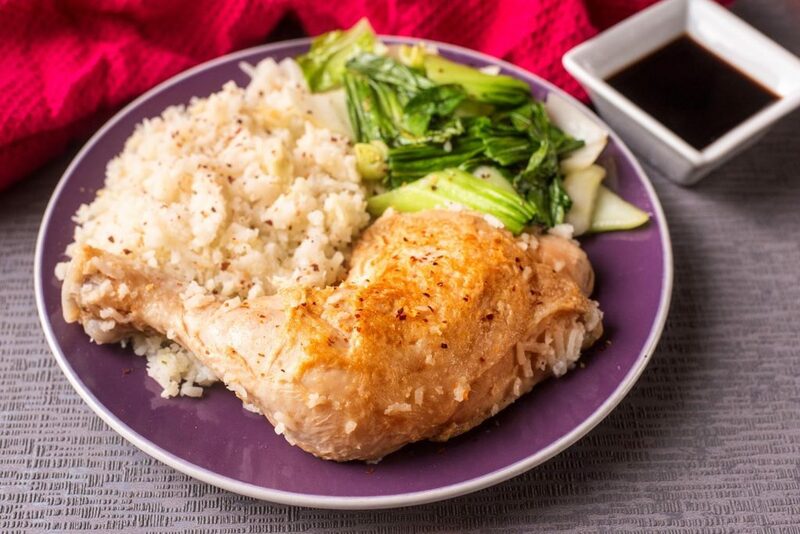 Serve in a bowl and add a little soy sauce to top and a spoonful XO.